Kajal Aggarwal, who made her debut opposite Ajay Devgan in Singham has signed her next film. The actress will be seen opposite Akshay Kumar in a movie to be directed by Neeraj Pandey. The movie will apparently be based on a real life jewelry robbery that took place in Mumbai in 1987. The actress is very excited about her role and will begin shooting from Macrh 9th. Neeraj Pandey is best known for directing the critically acclaimed “A Wednesday”. We at TB wish the whole unit good luck for this new venture! 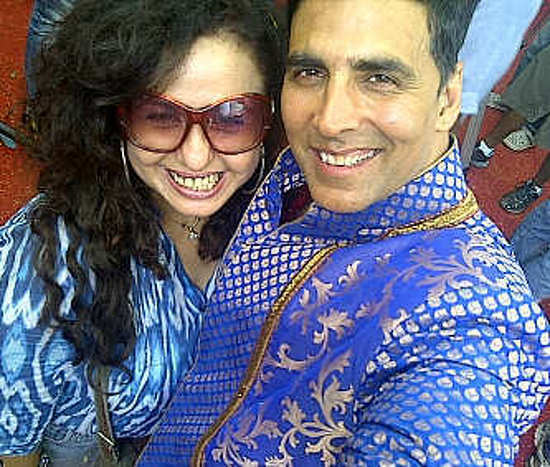 In Pictures: Akshay Kumar on the sets of Oh My God! Sonakshi’s hat-trick with Akshay Kumar!